The following is the Management’s Discussion and Analysis (“MD&A”) of the financial statements of Natur Holding BV, a Netherlands company, a wholly owned subsidiary of Natur International Corp., a Wyoming corporation (formerly named “Future Healthcare of America” and referred to herein as “Future Healthcare of America” or the “NTRU”). This MD&A is being provided to better elucidate the financial statements of the Natur Holding BV, which has become the primary operations of NTRU as a result of the share exchange transaction consummated on November 13, 2018, by which NTRU acquired Natur Holding BV. This MD&A will cover the activities of Natur Holding BV for the fiscal year ended December 31, 2017 and the nine-month period ended September 30, 2018. The basis of this MD&A is the audited financial statements for the fiscal year ended December 31, 2017 and the nine-month period ended September 30, 2018. These statements are not an integral part of the financial statements. Natur Holding BV (the “Company,” “Natur,” “our” or “we”) was founded in late 2015 and has its headquarters in Amsterdam, the Netherlands. Natur’s current products include a range of cold pressed juices and healthy snacks. These products are currently sold either directly or through distribution partners in the Netherlands and the United Kingdom, and the Company is formulating plans for further expansion in Europe and North America. Natur’s products are produced by our primary product supplier AMC Juices, which is also the parent company of one of our shareholders, SFI Gestion de Participaciones Minoritarias SL. AMC Juices is one of the leading European suppliers of “white label” natural juices to over 70 of the largest retail chains in Europe. AMC is well known as the sector’s innovation leader in Europe with proprietary manufacturing and production technologies. Natur’s products are bottled or packed using technically advanced food safety measures, including cold pressed and high-pressure processing, to bring fresh tasting fruit and vegetable blends to market through more than 15 product types. AMC’s propriety technologies are at the core of the proposition to incorporate HPP (High Pressure Processing) and SNFC (Super non-from concentrate juices, that holds in the taste of freshness and yet extends shelf life to over 6 months) in our products. Natur’s product’s route to market combines direct-to-business, direct-to-consumer and through select distributors. We also operate our flagship branded store in the Amsterdam canal district to operate as a consumer experiential environment. Our direct to consumer distribution is done via our own ‘flagship’ store outlet, shop- in-shop solutions, supermarket chains, health clubs and online sales. We have created a robust multi-country, e-commerce platform that offers “curated” propositions and personalized delivery options to optimally increase our direct-to-consumer relationship. We also make use of tailored social media tools and slick viral marketing campaigns. In 2015/2016 the Company developed, together with its related partner AMC Juices, a range of cold-pressed juices, and in the fourth quarter 2016 the first entry to the market was achieved. In 2017 the range of products was extended by adding a range of nearly not heated juices and coconut water smoothies with a shelf life of 180 days (SNFC). This achieved the aim of providing products at a lower price point and offering a product that can be shipped ambient for a certain period of time. We further extended our HPP line with shots, lemonades and breakfast drinks. The current product offering of juices includes 38 different products. Also, an additional range of snack offerings was developed in 2018 that the Company aims to add to its portfolio in the second quarter of 2019. During 2018, management of the Company was heavily involved in the negotiations with management and shareholders of Future Healthcare of America for a form of combination transaction. A lack of free cash has limited the ability of the Company to grow significantly in its home market of the Netherlands and the United Kingdom. As a consequence, management recently has been focused on cost cutting measures, which were effective in the short term to mitigate and control the cost development. As part of the Company’s strategy to operate in a lean manner, the Company decided to centralize all support functions at its headquarters in the Netherlands and to support global account management centrally. For that reason, effective November 30, 2018, the Company closed down the London office. The existing support functions were transferred to the headquarters in Amsterdam. A distributor for the UK has been engaged that will deliver the Natur products to our existing local customer base. Revenues for continued operations increased by 185% compared to prior year. At the same time, economies of scale and supply chain efficiency improvements have resulted in an improved margin. During 2018, various measures were taken to mitigate the loss-making of our operational activities, leading to a sharp decrease in our losses during the first nine months of 2018. Wages and salaries have been under strict control by utilizing digital and automated solutions for our support functions. Due to cash restrictions we have not been able to invest in the marketing and activation of our products in the various channels to the extent desired. Nevertheless, we have now exceeded our prior year revenues by almost $1 million for the nine months of 2018. We have used guerilla marketing techniques and active sales to achieve this. Management of the Company is aware that the auditor expressed an opinion on the matter of going concern; it is the intent of management to continue with the streamlining of the operations, whilst at the same time increasing revenue by introducing new products and attracting new customers. The relative share of costs against this increase in revenue is significantly lower which has a positive effect on the development of the gross margin and cash flow from operations. As a result, the substantial doubt about the Company’s ability to continue as a going concern should be alleviated. Notwithstanding the foregoing, the Company will seek capital as needed, which may be either equity or debt, or both. The Company does not have any agreements in place for any capital at this time. Total net cash flow for the year 2017 amounted to approximately $0.9 million. The operating loss for 2017 was $(-9.1) million, which was partly financed by Efficiency Life Fund, a related party through its being a significant shareholder, who provided several loans to cover for these losses, and partly financed by two external convertible loans of €0,5 million and €0.8 million, respectively. During 2017 we also opened our flagship store in Amsterdam in which we invested about $0.2 million. Total negative cash flow for the nine months ended September 30, 2018 was $(-1.2) million. The main reason for the negative cash flow was the net operating loss of $(-4.8) million, which was partly funded by related parties. NL Life Sciences and Efficiency Life Fund both provided bridge loans to ensure continuity. The operating loss was the result of many start-up expenses, including product development, legal and accounting expenses, initial marketing expenses and funding product production prior to revenue production. The Company believes that it will continue to have the kinds of start-up operational typical of a developing and expanding company for the foreseeable future as it implements its business plan. As at September 30, 2018, the Company had a substantial negative working capital. The Company does not believe that this amount of working capital will be sufficient to sustain its operations at its current rate or support expansion of its business as planned. The Company will have to obtain further funding, either by the sale of equity or entering into borrowing arrangements, or a combination of debt and equity arrangements. The Company does not have any arrangements in place at this time for additional funding. And even if funding is available, it may not be available on acceptable terms. Additional equity funding will have the effect of dilution of the current investors’ ownership position in NTRU, or if the equity is sold at the subsidiary level, the ownership of Natur by the parent company, NTRU. Also, the funding arrangements entered into by NTRU at the time of the acquisition of Natur have many limitations on the NTRU’s and the Company’s ability, to freely price and obtain funding, some of which extend for a substantial period of time hereafter, including rights of first negotiation, rights of participation, and price ratchet protections for the benefit of the funding source of that financing. If the Company or NTRU is unable to obtain funding for its operations and expansion when needed, it may be required to adjust its business plan, which may include curtailing certain or its operations or terminating its business. As a start-up company, the first two years were mainly focused on developing the products, building relationships with key-suppliers, contracting with distributors and launching our products. Whilst the global market for our key products developed according to the vision management had at the start, the capital requirements for this type of business were greater than anticipated, and the market adaptation to our products was less than we expected in this short period. The new product range that we launched at the end of 2017 made our general consumer base larger and we expect that our revenues correspondingly will improve. Management has sought and continues to seek strategic partnerships to strengthen the business model and to secure additional capital, as, if and when needed. This search led to a series of discussions and meetings with the management and shareholders of Future Healthcare of America in 2018. In November 2018 the Company and Future Healthcare of America concluded a combination transaction and secured approximately $2 million of funding that has allowed management to refocus its attention on developing and growing the key business of the Company. (a)Financial Statements of Businesses Acquired. Audited financial information for Natur Holding B.V. as of and for the year ended December 31, 2017 and the nine months ended September 30, 2018, together with the audit report for the foregoing periods of Malone Bailey LLC dated January 9, 2019. See page 7. Pro forma financial information relating to the Share Exchange Transaction as of and for the nine months ended September 30, 2017 and the year ended December 31, 2017. See page 21. * Previously filed with the initial report on Form 8-K, filed for the event dated November 13, 2018, which were incorporated by reference from the Registrant’s Current Report on Form 8-K, filed on September 24, 2018. ** Previously filed with the initial report on Form 8-K, filed for the event dated November 13, 2018. We have audited the accompanying consolidated balance sheets of Natur Holdings BV and its subsidiaries (collectively, the “Company”) as of September 30, 2018 and December 31, 2017, and the related consolidated statements of comprehensive loss, and cash flows for the nine month period ended September 30, 2018 and year ended December 31, 2017, and the related notes (collectively referred to as the “financial statements”). In our opinion, the financial statements present fairly, in all material respects, the financial position of the Company as of September 30, 2018 and December 31, 2017, and the results of their operations and their cash flows for the nine-month period ended September 30, 2018 and year ended December 31, 2017, in conformity with accounting principles generally accepted in the United States of America. The accompanying financial statements have been prepared assuming that the Company will continue as a going concern. As discussed in Note 2 to the financial statements, the Company has suffered recurring losses from operations and has a net capital deficiency that raises substantial doubt about its ability to continue as a going concern. Management’s plans in regard to these matters are also described in Note 2. The financial statements do not include any adjustments that might result from the outcome of this uncertainty. Description of business: Natur Holding B,V. (“we”, “our”, “the Company” or “Natur”) was founded in late 2015 and has its headquarters in Amsterdam, the Netherlands. Our current products include a range of cold pressed juices and healthy snacks. These products are currently sold either directly or through distribution partners in the Netherlands and the United Kingdom. Through our related party AMC, we apply patented technology to proprietary nutrient dense blends of fruit and vegetables. These are bottled or packed with technically advanced food safety measures and cold high-pressure processing to bring fresh tasting fruit and vegetable blends to market through more than fifteen product types. Natur’s distribution combines direct-to-business, direct-to-consumer and through select distributors. We also operate our flagship branded store in the Amsterdam canal district to operate as a consumer experiential environment. The Company products value proposition is to affordably provide the most authentic fresh fruit and vegetable juice experiences to democratize clean, healthy, eating and drinking occasions. Basis of presentation. The Company prepares its financial statements using the accrual basis of accounting in accordance with United States generally accepted accounting principles (“US GAAP”). Consolidation- The financial statements presented reflect the accounts of Natur Holding B.V. and its direct or indirect subsidiaries. All inter-company transactions have been eliminated in consolidation. Use of Estimates in Financial Statement Preparation. The preparation of financial statements in conformity with US GAAP requires management to make estimates and assumptions that affect the reported amounts of assets and liabilities, the disclosure of contingent assets and liabilities at the date of the financial statements, and the reported amounts of revenues and expenses during the reporting period. Actual results could differ from those estimates. Customer Concentration and Credit Risk. Two customers accounted for more than 58% of revenues from continuing operations for the nine months ended September 30, 2018. No other customers exceeded 10% of revenues during the nine months ended September 30, 2018, and the year ended December 31, 2017. For the nine months ended September 30, 2018, and the year ended December 31, 2017, there was no material concentration of trade debt to individual customers. No individual customer exceeded 7% of accounts receivable as of September 30, 2018, and December 31, 2017. The Company believes it will continue to reduce the customer concentration risks by engaging new customers and increasing activity of existing less active customers and smaller, newer customer relationships. The Company is also utilizing its ability to sell its receivable debts to a third party to reduce the recoverability risk of its larger accounts. While the Company continues to acquire new customers in an effort to grow and reduce its customer concentration risks, management believes these risks will continue for the foreseeable future especially regarding revenue concentration. Three vendors accounted for more than 23% of accounts payable at September 30, 2018, and three vendors accounted for more than 22% of accounts payable at December 31, 2017. No other vendors exceeded 10% of accounts payable at September 30, 2018 and December 31, 2017. Cash and Cash Equivalents. Cash equivalents include all highly liquid investments with original maturities of three months or less. Accounts Receivable. Accounts receivable are comprised of unsecured amounts due from customers. The Company carries its accounts receivable at their face amounts less an allowance for bad debts. The allowance for bad debts is recognized based on management’s estimate of likely losses per year, based on past experience and review of customer profiles and the aging of receivable balances. As of September 30, 2018, and December 31, 2017, we did not record any allowance for bad debts. Selected account receivables are sold to a factoring company with a transfer of risk of non-collectability. Inventory. Inventory, consisting of raw materials, work in progress and finished goods, is valued at the lower of the inventory’s costs or net realizable value, using the first in, first out method to determine the cost. Management compares the cost of inventory with its market value and an allowance is made to write down inventory to market value, if lower. Revenue Recognition. In May 2014, the FASB issued ASU 2014-09, Revenue from Contracts with Customers (Topic 606), which generally requires an entity to identify performance obligations in its contracts, estimate the amount of consideration to be received in the transaction price, allocate the transaction price to each separate performance obligation, and recognize revenue as obligations are satisfied. Additionally, the standard requires expanded disclosures related to revenue recognition. Subsequent to the issuance of ASU 2014-09, the FASB issued additional guidance to assist entities with implementation efforts, including the issuance of ASU 2016-08, Revenue from Contracts with Customers (Topic 606): Principal versus Agent Considerations (Reporting Revenue Gross versus Net), pertaining to the presentation of revenues on a gross basis (revenues presented separately from associated expenses) versus a net basis. This guidance requires an entity to record revenue on a gross basis if it controls a promised good or service before transferring it to a customer, whereas an entity is required to record revenue on a net basis if its role is to arrange for another entity to provide the goods or services to a customer. The Company adopted the new revenue recognition and presentation guidance on January 1, 2018, using a full retrospective transition approach. We believe that adoption of the new guidance had no cumulative effect impact on the Company’s retained earnings at January 1, 2018. The new guidance does not have a material impact on the timing of the Company’s revenue recognition or its financial position, results of operations, net income, or cash flows. Foreign Currency Translation. The Company follows Section 830-10-45 of the FASB Accounting Standards Codification (“Section 830-10-45”) for foreign currency translation to translate the financial statements from the functional currency, generally the local currency, into U.S. Dollars. Section 830-10-45 sets out the guidance relating to how a reporting entity determines the functional currency of a foreign entity (including of a foreign entity in a highly inflationary economy), re-measures the books of record (if necessary), and characterizes transaction gains and losses. to Section 830-10-45, the assets, liabilities, and operations of a foreign entity shall be measured using the functional currency of that entity. An entity’s functional currency is the currency of the primary economic environment in which the entity operates; normally, that is the currency of the environment, or local currency, in which an entity primarily generates and expends cash. The financial records of the Company are maintained in its local currency, the euro (“EUR”), which is the functional currency. Assets and liabilities are translated from the local currency into the reporting currency, U.S. dollars, at the exchange rate prevailing at the balance sheet date. Revenues and expenses are translated at weighted average exchange rates for the period to approximate translation at the exchange rates prevailing at the dates those elements are recognized in the consolidated financial statements. Foreign currency translation gain (loss) resulting from the process of translating the local currency financial statements into U.S. dollars are included in determining accumulated other comprehensive income in the consolidated statement of stockholders’ equity. Cost of Revenues. Cost of revenue includes all direct expenses incurred to produce the revenue for the period. This includes, but is not limited to, costs for finished products, pick packing costs, storage costs and transportation costs. Cost of revenues are recorded in the same period as the resulting revenue. Employee Benefits. Wages, salaries, bonuses and social security contributions are recognized as an expense in the year in which the associated services are rendered by employees. For any unused portion of vacation leave, an accrual is recorded for carry over to the following year. Income Taxes. The Company is structured as a Dutch limited liability company. Tax on the result is calculated based on the result before tax in the profit and loss account, taking into account losses available for set-off from previous years (to the extent that they have not already been included in the deferred tax assets) and exempt profit components and after the addition of non-deductible costs. Due account is also taken of changes which occur in the deferred tax assets and deferred tax liabilities in respect of changes in the applicable tax rate. The corporate tax rate for profits above $238,812 (or €200,000) amounts to 25%. Below that amount the rate is 20%. Tax losses can be carried back one year and carried forward nine years to offset future profits. We have the following Net Operating Losses that we will be able to offset against future profits with regards to corporation tax. In the financial statements of group companies, a tax charge is calculated on the basis of the accounting result. The corporate income tax that is due by these group companies is charged into the current accounts of the company. Because of the compensable losses no deferred taxes are included in the financial statements. From incorporation of the company only the Corporation Tax return of 2015/2016 has been filed. All years are still subject to examination. Fair Value of Financial Instruments. The carrying value of short-term instruments, including cash, accounts payable and accrued expenses, and short-term notes approximate fair value due to the relatively short period to maturity for these instruments. The long-term debt approximate fair value since the related rates of interest approximate current market rates. Fair value is defined as the exchange price that would be received for an asset or paid to transfer a liability (an exit price) in the principal or most advantageous market for the asset or liability in an orderly transaction between market participants on the measurement date. Valuation techniques used to measure fair value maximize the use of observable inputs and minimize the use of unobservable inputs. The Company does not have any assets or liabilities that are required to be measured and recorded at fair value on a recurring basis. Income /(Loss) Per Share– The Company computes income (loss) per share in accordance with Accounting Standards Board (“FASB”) Accounting Standards Codification (“ASC”) Topic 260 Earnings Per Share, which requires the Company to present basic earnings per share and diluted earnings per share when the effect is dilutive (see Note 11). The Company considered its going concern disclosure requirements in accordance with ASC 240-40-50. The Company concluded that its negative working capital and decreased cash flows from operations are conditions that raised substantial doubt about the Company’s ability to continue as a going concern. Without a successful plan in place from management these conditions could negatively impact the Company’s ability to meets its financial obligations over the next year. In response, the Company has implemented a plan to alleviate such reasonable doubt as follows: (i) the Company will continue to generate additional revenue (and positive cash flows from operations) partly related to the Company’s expansion into new product lines during 2019 and partly related to the Company wide sales initiatives already implemented; (ii) in addition cost saving initiatives and an organization restructuring program that is almost completed, will have an additional positive impact on the cost-basis of the organization. Notwithstanding the foregoing, the Company will seek capital as needed, which may be either equity or debt, or both. The Company does not have any capital sources determined at this time, and capital may not be available when sought. The accompanying financial statements have been prepared assuming that the company will continue as a going concern. Depreciation expense for the period ended September 30, 2018, and the year ended December 31, 2018, was $131,931, and $157,534, respectively. Financial fixed assets are deposits for the head office rent and deposits for the shops in Amsterdam. They will be repaid upon expiration of the lease. For the loan from NL Life Sciences and STB Family Offices there is no repayment schedule in place. The interest rate is charged on the basis of EURIBOR + 3% on the average balance of the loan. AMC is the supplier of the juices that are sold by the Company. Total purchased products for the nine months ended September 30, 2018 is $1.1 million. The other loans consist of the procurement of juices and consulting fees for the management team. No interest is being charged. The bridge loan that was provided by Efficiency Life Fund will need to be repaid in 10 installments in 2019 and 2020. No interest is charged for this loan. The penalty in case of default will be the remaining loan amount with 10% added. For the loan from Tridutch Holding B.V., there is no repayment schedule in place. The interest rate is charged on the basis of EURIBOR + 3% on the average balance of the loan. Party for loan 1 has granted a loan facility in the principle amount of $581,058 or €500,000 with the right, but not the obligation to convert the outstanding loan amounts into shares in the capital of Natur at a company valuation of $17.4 million or €15 million for a term from December 19, 2017, till the maturity date of December 31, 2018, at an interest rate of 10% per annum. An extension of the current loan agreement is currently being negotiated. For 2018 interest of $44,777 has been recorded and added to the loan amount. On October 20, 2017, an amount of $929,692 or €800,000 was advanced to the Company for a loan agreement that was drafted but never signed. An interest rate of 5% per annum is calculated and the loan has a maturity date of February 28, 2018. The loan is convertible to shares of Natur at a company valuation of $23.3 million or €20 million. The loan is in default and lender has demanded payment and does not want to convert. For 2018 interest of $47,762 has been recorded and added to the loan amount. The convertible loan from related parties consists of a convertible loan granted by Efficiency Life Fund SPC (ELF). ELF provided several loans from time to time that were all converted into one loan agreement, signed at December 21, 2017. All future interest of the previous loans after this date are waived. The first loan that was granted was an unsecured loan that got modified to a convertible loan at December 21, 2017. Therefore, it is accounted for as debt extinguishment. Repayment of the loan amount and accrued interest will be made as reflected in the schedule below at a premium of 5% on the loan amount plus accrued interest. ELF has been granted a conversion right (not obligation) to acquire shares as of November 1, 2019, at a company valuation of Natur $23.3 million or €20 million. The Company can only prevent EFS exercising this right if the Company makes the repayments as reflected in the schedule below. If the conversion is not exercised, the loan will remain unpaid and interest of 5% will be calculated going forward. NL Life sciences B.V., being a signatory party to the convertible loan agreement (CLA), agreed to pledge a portion of its shares in the Company in favor of ELF up to an amount equal to 10% of the Company’s issued shares as a security for the Company’s repayment obligation of the loan (the pledge). On June 11, 2018 it was agreed that in case neither the lender has exercised its conversion rights or the Company has repaid the loans in accordance with the aforementioned schedule, the repayment date of the loans 1, 2 and 3 are extended to September 1, 2019, under the condition that the Company performs its duties in good faith and without effecting the rights of the lender with unusual expenditure decisions. Conversion rights can be exercised from September 1, 2019. At September 30, 2018 and December 31, 2017, the Company had 1,037,397 shares of common stock issued and outstanding. There are no dilutable shares. Natur Holding B.V. has a rental agreement for an annual rent of $306,129 or €256,376. The rent period is until June 30, 2021. NL Juices Retail B.V. has a rental agreement for an annual rent of $85,972 or €72,000. The rent period is 10 years with an option to terminate the contract as of June 30, 2019 (2 years after the contract started) and as of June 30, 2022 (5 years after the contract started). The property must be delivered to the landlord “at it was provided” at the beginning of the lease. The landlord has only rented out the shell. For the corporate income tax, Natur Holding B.V., Naturalicious Rest of Europe B.V., Hi-tech Juices B.V., NL Juices Retail B.V., NL Juices Online B.V., NFF Trading B.V. and The Force of Nature B.V. are a fiscal unity. to the Collection of State Taxes Act, the Company and its subsidiaries are severally and jointly liable for the tax payable by the combination. For the value added tax purposes, Natur Holding B.V., NL Juices Retail. B.V., Hi-tech Juices B.V., NL Juices Online B.V., NFF Trading B.V. and The Force of Nature B.V. are a fiscal unity. to the Collection of State Taxes Act, the Company and its subsidiaries are severally and jointly liable for the tax payable by the combination. Effective November 30, 2018, the Company has closed down the London office and shops as part of the restructuring plan. Functionally the operations were shut down before September 30, 2018 and therefore we have qualified it as discontinued operations. The sale of assets is in process. The existing support functions have been transferred to the headquarters in Amsterdam as part of the centralization of support staff initiative. A distributor for the UK has been engage, who will deliver to our current customer base. In accordance with the guidance provided in ASC 205-20, the Company concluded that this sale qualified for presentation as discontinued operations. The Company has no ongoing or future plans to start a new operating entity in the United Kingdom. Prior period income statement balances applicable to the United Kingdom operations have been reclassified and are included under the Discontinued Operations caption in the statements of operations while related assets and liabilities were reclassified to Assets Held for Disposal and Liabilities Held for Disposal, respectively on the balance sheet. The following table presents the carrying amounts of the major classes of assets and liabilities included in our discontinued operations as presented on our Consolidated Balance Sheet as of September 30, 2018. There were no items remaining on our Consolidated Balance Sheet as of September 30, 2018, related to discontinued operations. 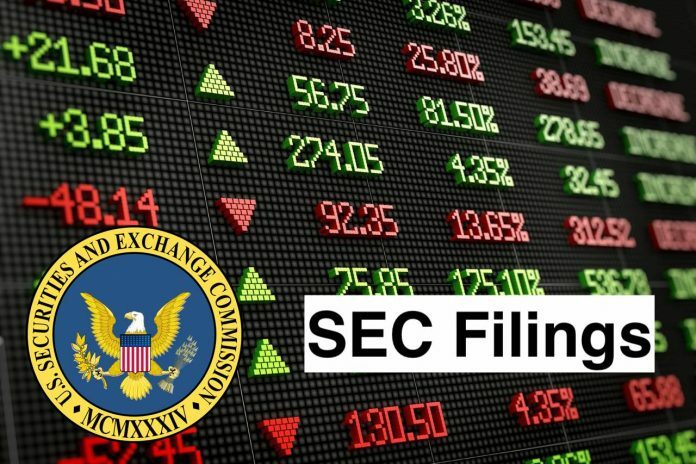 On September 21, 2018, the Company entered into a Securities Purchase Agreement (the “SPA”) to which it sold to Alpha Credit Anstalt (“Alpha”) 2,469.131 shares of non-voting, convertible Series A Preferred Stock, each share convertible into approximately 33,000 shares of Common Stock at the rate of $.030303 per share. Alpha also purchased two warrants, one to the SPA that is exercisable for 33,000,000 shares of Common Stock at an exercise price of $.060606 per share and one to a debt cancellation agreement exercisable for 6,000,000 shares of Common Stock at an exercise price of $.15 per share. The aggregate purchase price for the Series A Preferred Stock and the two warrants was $2,000,000 in cash and conversion of approximately $769,000 of principle debt and interest due to Alpha from the Company under a prior loan agreement. On September 21, 2018, Parent Company also executed a Securities Purchase Agreement (the “SPA”) by which it agreed to privately issue and sell to Alpha Credit Anstalt (the “Alpha”) 2,469.131 shares of non-voting, convertible Series A Preferred Stock, each share convertible into approximately 33,000 shares of Common Stock at the rate of $.030303. Alpha also purchased two warrants, one to the SPA that is exercisable for 33,000,000 shares of Common Stock at $.060606 per share and one to a debt cancellation agreement exercisable for 6,000,000 shares of Common Stock at $.15 per share. The aggregate purchase price for the Series A Preferred Stock and the two warrants was $2,000,000 in cash and conversion of approximately $769,000 of debt and interest due Alpha from Parent Company under a prior loan agreement. Prior to the acquisition of Natur, Alpha also cancelled approximately $651,000 of debt principle and interest due from Parent Company. These transactions eliminated $1,420,000 of debt principle and interest of Parent Company and improved its balance sheet. As part of the SPA transaction, Alpha has also agreed to reimburse up to $100,000 of the liabilities of Parent Company existing at the closing date. [b] – Alpha will convert $769,000 of the convertible note into common stock of FUTU. The remainder of the note ($241,000) plus accrued interest ($410,000) will be waived.